Spectacular Loretta Dress! This sparkling gold, black, and white dress is stunning on stage. 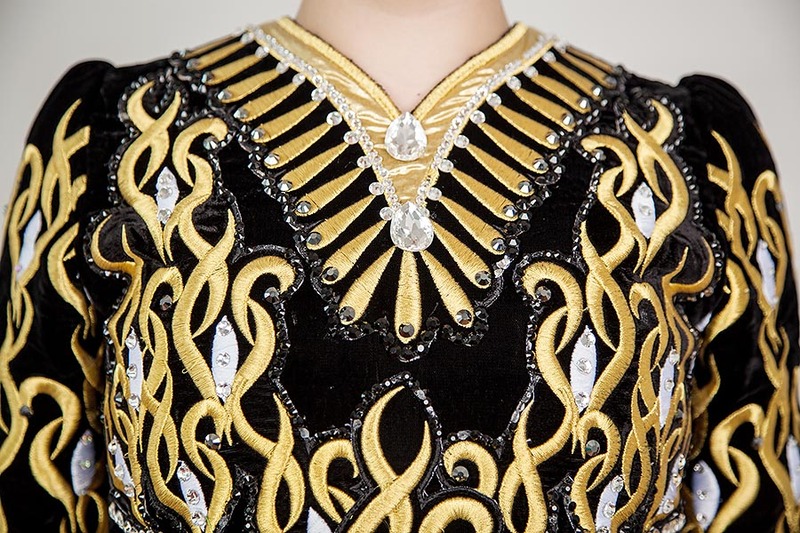 It features gold sequined bodice and skirt with hundreds of Swarovski crystals highlighting the embroidery.